WESTLAND, MI. (THECOUNT) — The Wayne County Prosecutor’s Office has charged a Detroit man responsible for the fatal hit and run that killed a Wayne County sergeant, Lee Smith, on August 14. Desmond Robinson, 47, has been charged with reckless driving, failure to stop at an injury accident scene and tampering with evidence, according to court officials. 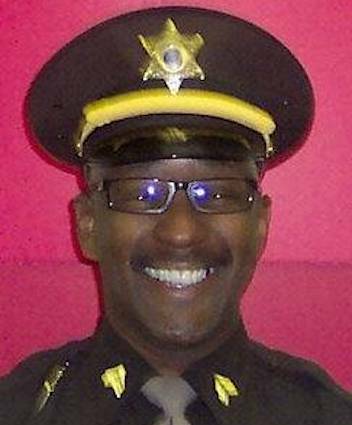 (ORIGINAL STORY) — Lee Smith has been identified as the Wayne County Sheriff’s sergeant killed in a hit-and-run crash Tuesday morning in Westland’s Hines Park. The incident happened on Edward N Hines Drive near Inkster Road. Smith was a 26-year veteran of the department and had just filed for retirement on Friday. According to reports, Smith was dragged for a short distance. Police are still looking for the driver of the vehicle, which police described as a black SUV.